Snow on the Ground/Trails 7-22″ – We’ve got a whole lot of powdery snow – it’s perfect! (Homestead Snow Report) 19-35″ with 4 of 5 lifts & 15 of 15 runs open. Please note that The Homestead is ONLY open Friday – Sunday! (Crystal Mountain Snow Report) 52 – 64″ base with 58 of 58 runs open, 7 of 8 lifts running. (via Bike Leelanau) All clear on the Leelanau Trail, 45 North Vineyard Loop & Leelanau Winter Sports Trail in Leelanau State Park but BEWARE of some “hangers” (hanging trees) above! The Homestead Resort in Glen Arbor Bay Mountain at The Homestead offers a great family skiing experience with 15 runs and the Resort also offers a ski schools, several restaurants and a great kids program. They operate on weekends only (also the whole Christmas holiday week). Mt. 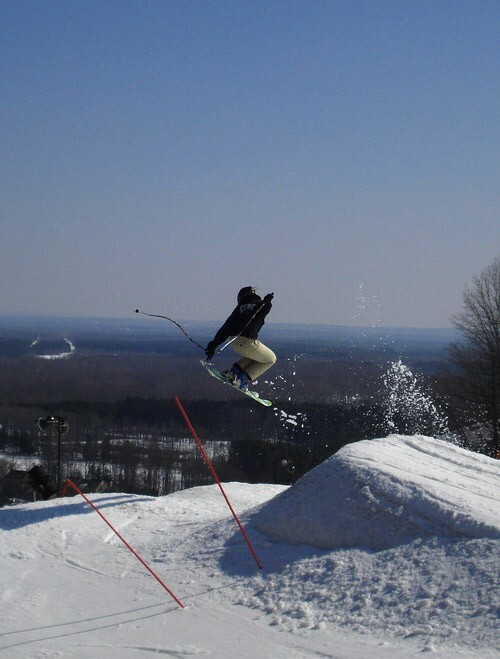 Holiday in Traverse City is a nonprofit ski hill located just north of Traverse City. Hickory Hills in Traverse City is a community owned ski hill in Traverse City. Also see Preserve Hickory Hills. Sugar Loaf Mountain in Cedar is curently closed. We have posted updates on Sugar Loaf in the Leelanau Blog. Leelanau County has miles of public trails both in and out of the Sleeping Bear Dunes National Lakeshore. Click for our favorite trails! The Park offers guided snowshoe hikes on Saturdays and also a couple days over the holidays – details here. Bike Leelanau has a regular report on fat tire biking trails including the Leelanau Trail, trails at 45 North Vineyard, and the Leelanau State Park Winter Sports Trail! Leelanau County Natural Areas – managed by the Leelanau Conservancy, many of these areas offer great cross-country skiing! A couple favorites are Houdek Dunes north of Leland and the Chippewa Run in Empire. Maps to world class cross-country and snowshoe trails in the Dunes. A great trail from Suttons Bay to Traverse City and part of the TART trails system.